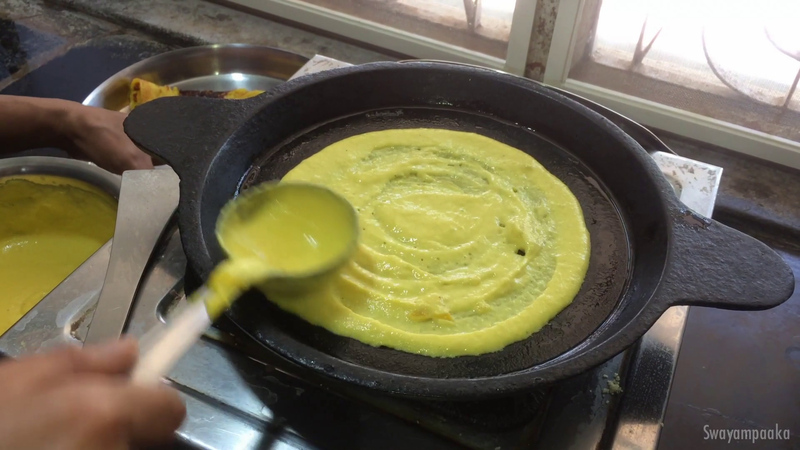 Jackfruit dosa recipe with detailed video instruction and step by step pictures. 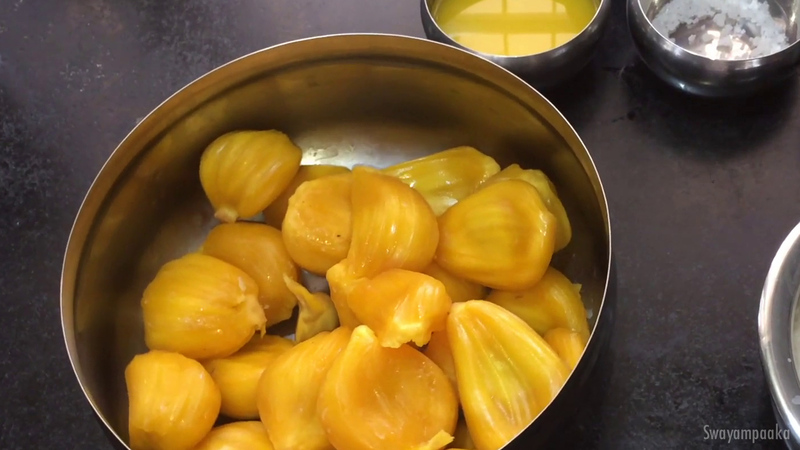 20 jackfruit (remove the seeds and keep it ready. 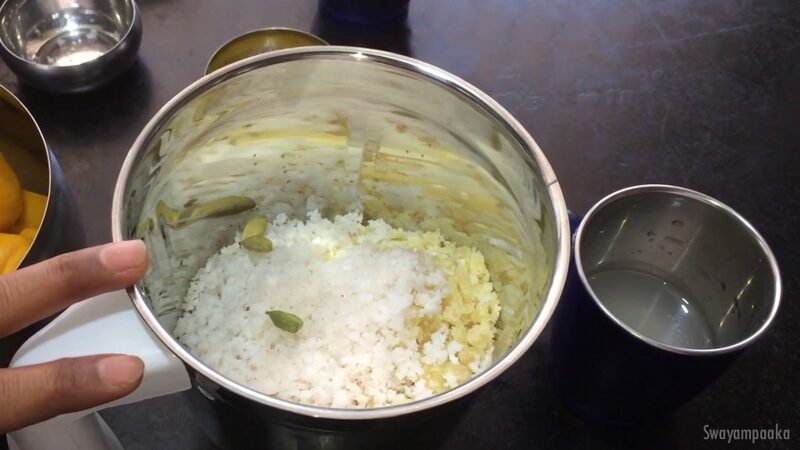 Wash and soak the rice in 1 cup of water for a minimum of 2 hours. 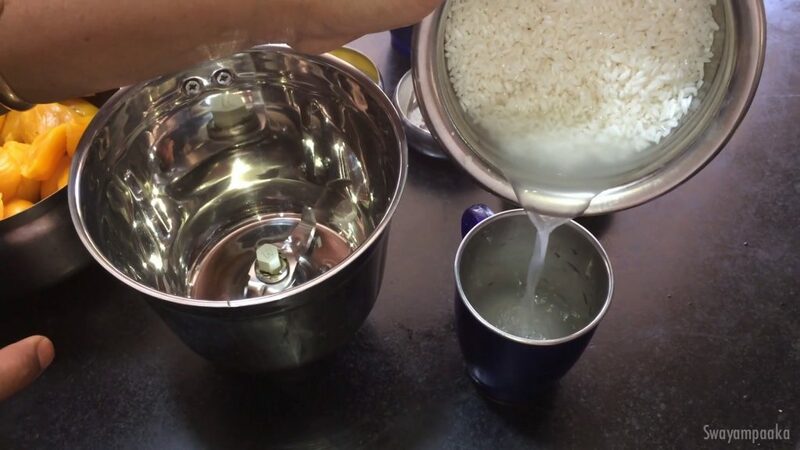 Drain some water into a cup from the soaked rice. Grind the jackfruit separately to a fine paste. Add this to rice batter and mix it well. Keep it aside for 10 minutes. 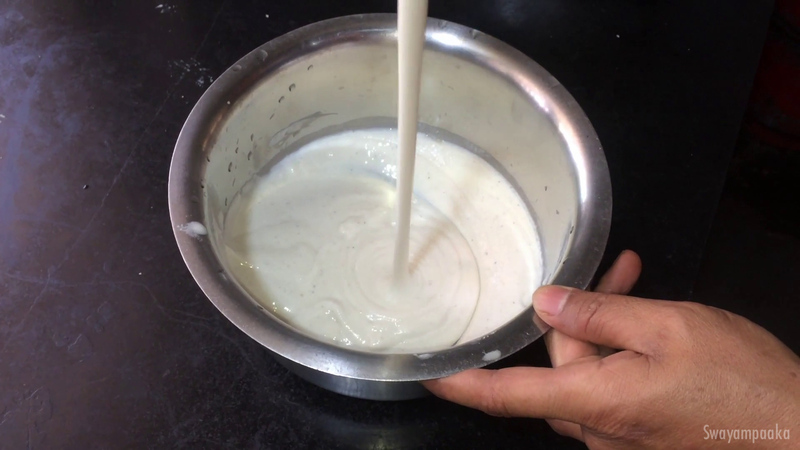 Once it is hot enough (to check, sprinkle water on the tava, you should hear a strong sizzling sound), pour a ladle of dosa batter in the center. 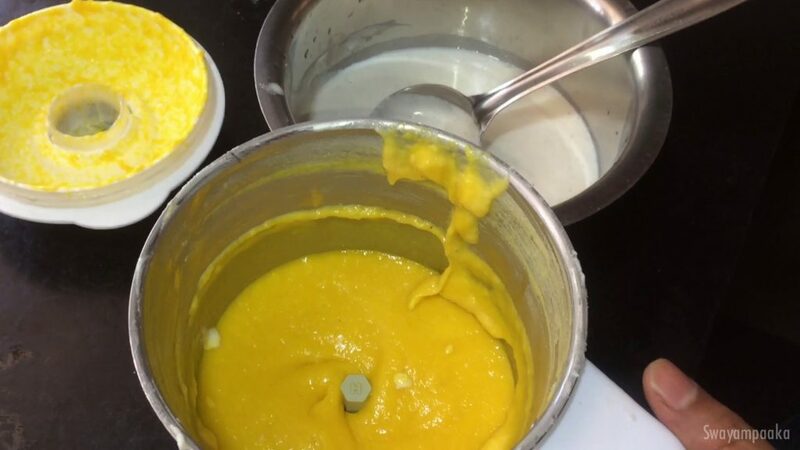 Spread the batter from the center in a circular motion to make a circle. Add the ghee/oil to the center and around the edges, and cover it with a lid. After a minute or so flip it to the other side using a turner and add little ghee, allow it to cook. Remove and repeat the same procedure with remaining batter. 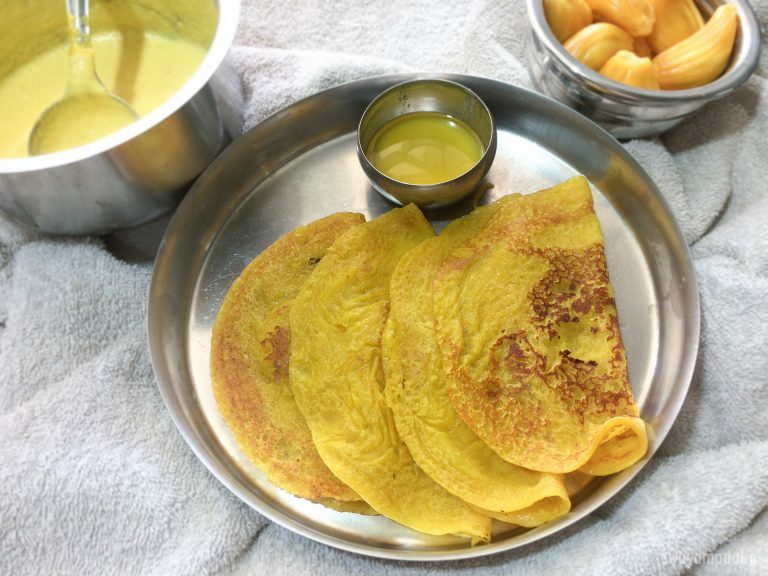 Eat the dosa with ghee, honey . 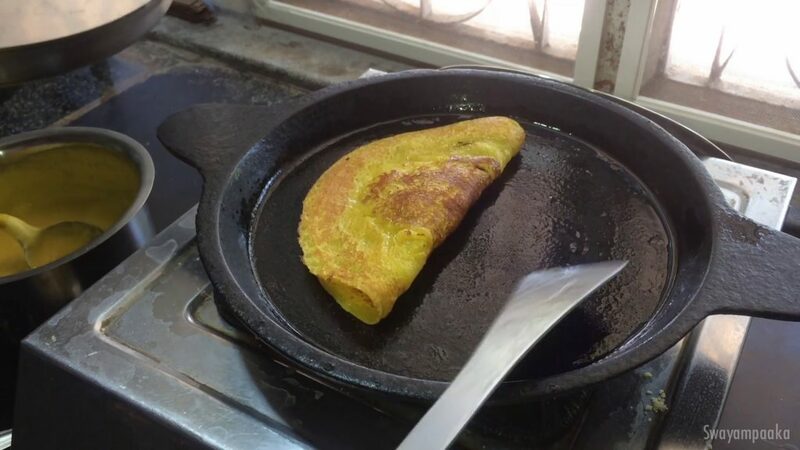 Reduce the heat every time you remove the dosa from the skillet and then increase it. 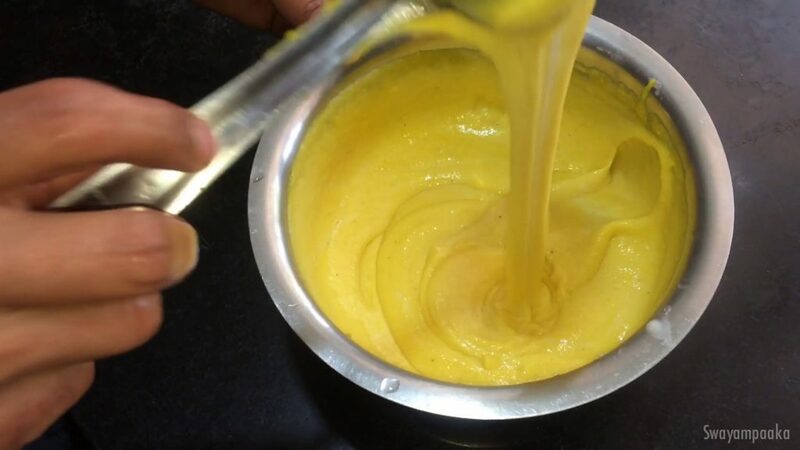 Mix the batter every time you make Dosa. 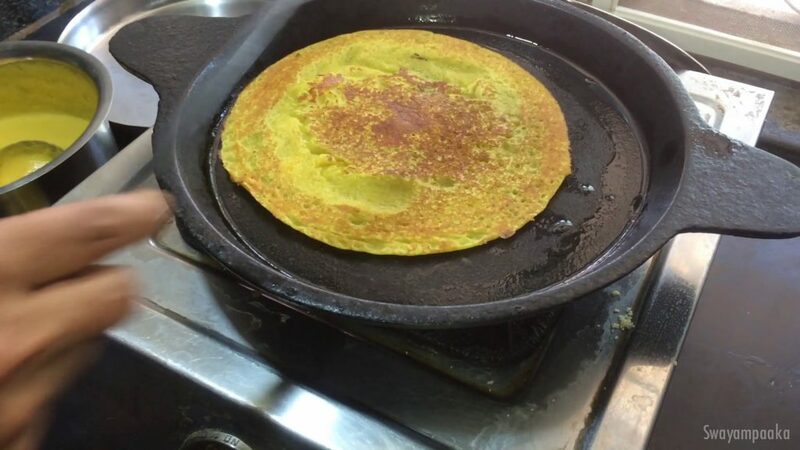 If the Dosa is sticking to the tava/skillet, add some rice flour to the batter, mix it well and make the dosa.